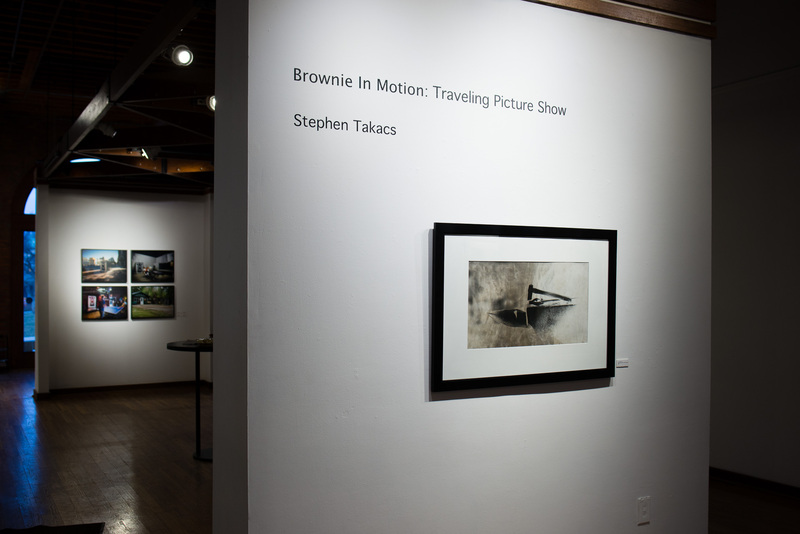 The entrance to the show features photos of the Brownie on the road. These modern photographs serve as not only a document of the Brownie’s travels, but also a bright, saturated counterpoint to the deep-black, monochromatic photographs produced by the camera. The subjects of Stephen’s portraits practice trades not widely found in the modern age. He commemorates them by using of one of the earliest photographic techniques that, today, is practiced only by the curious few. The handmade large-format prints have a timeless feel, with a touch of nostalgia for a time when photography was more tangible and photographers got their hands dirty. The show is thoughtful, unique and definitely worth the trip. I can’t recommend it enough. For more information on the show you can check out the Columbus Cultural Arts Center, the Brownie In Motion Facebook page, or Brownie In Motion.org. Reblogged this on Brownie In Motion.